150m+ Buildings 60 Completed • 27 Under Constr. 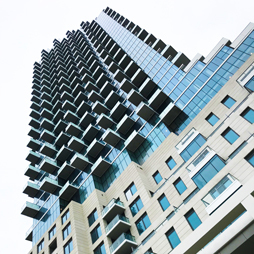 More than 50 people participated in the CTBUH Canada Construction Tour of the Monde Condominium, one of the first developments facilitated by Waterfront Toronto. More than 50 people participated in the CTBUH Canada Construction Tour of the Monde Condominium, a 44-story condominium building designed by Safdie Architects and Quadrangle. The CTBUH Canada Chapter hosted a discussion on Modular Design and Construction, featuring an overview of existing modular implementations as well as future implications. CTBUH Canada hosted a tour of the ongoing construction of Eau Du Soleil, a twin-tower condominium development with unobstructed views of the lake and the city of Toronto. This year's 2018 Global Walking Tour explored the role of tall buildings along waterfronts and other natural settings. The CTBUH Canada "Future Leaders" Committee held its inaugural event. Following a series of presentations, emerging professionals networked and planned future initiatives. 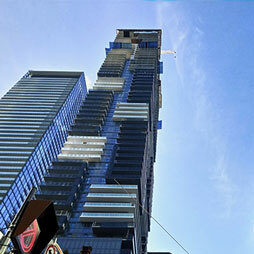 The CTBUH Canada Chapter held a construction tour of YC Condos, a 66-story tower development in downtown Toronto. 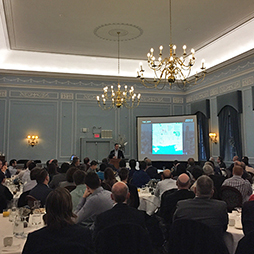 CTBUH Canada held a breakfast event to showcase Toronto's first supertall, The One, which will stand at 307 meters tall and is currently under construction. CTBUH Canada held a construction tour of Toronto's 88 Scott, a 58-story condominium tower with ground-level retail and four levels of office space. The CTBUH Urban Habitat / Urban Design Committee organized its fourth annual Global Walking Tours, which took place in 15 cities around the world. Building up momentum for the CTBUH 2017 Conference in Australia, the CTBUH Canada Chapter held its most recent event at the University of Toronto Faculty Club. CTBUH Canada’s Massey Tower tour was a great success, with approximately 40 people in attendance at the site tour and networking event. Debating Tall: Regional Governments for Megacities? 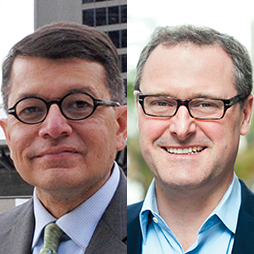 In the CTBUH Journal 2016 Issue IV, two experts debate on what type of government body should be in charge of the issues that growing megacities face. 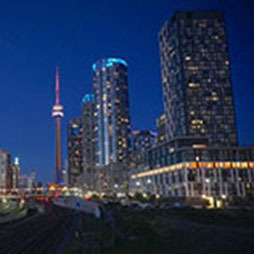 The CTBUH Canada Chapter organized and held its third in a series of seminars about new and imported technologies in high-rise buildings. The CTBUH UH/UD Committee organized its third annual Global Walking Tours in 13 cities around the world, examining public spaces in a twilight setting. 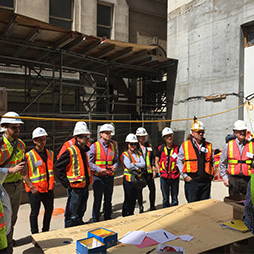 The CTBUH Canada Chapter hosted a construction tour of the Harbour Plaza mixed-use development, soon to be an anchor location in downtown Toronto. CTBUH 2015 delegates toured Toronto under the lead of CTBUH Canada. The highly successful tour led to many discussion on the lessons learned. The CTBUH Urban Habitat / Urban Design Committee organized guided walking tours of 16 cities around the globe, focusing on urban habitats around tall buildings. 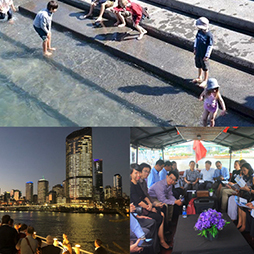 The second issue of CTBUH 'UH'PDATE goes over the success of the 7 Cities Winter Walking Tours and welcoming 5 new committee members. The new CTBUH Urban Habitat / Urban Design Committee organized a highly successful Winter Spaces Walking Tour in seven cities around the world. The CTBUH Canada chapter hosted a tour – ironically during an early winter snow storm – of the ICE Condominiums. 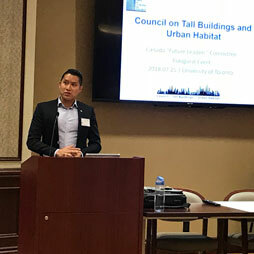 The first CTBUH 'UH'PDATE provides information on some of the early events and plans of the newly formed Urban Habitat / Urban Design Committee. 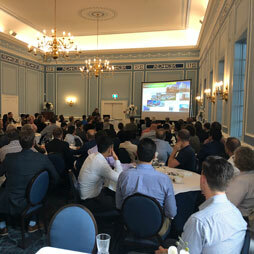 More than 80 people attended the event which sought to answer the question, What new technologies and techniques are influencing the way we build tall in Toronto? 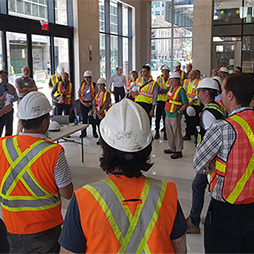 CTBUH Canada hosted a tour of Toronto’s Bay Adelaide Centre East Tower, currently under construction in the heart of the city’s business district. 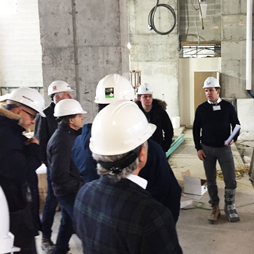 The Canada Chapter hosted a tour of The L Tower, the under-construction iconic residential building in the heart of Toronto’s downtown core. The chapter's fifth event included video presentations by Peter Rees, the Chief Planning Officer for London & a case study of The Gherkin by Kent Gardner, its owner. The Canada chapter hosted a tour of Canada’s future tallest residential building, Aura. When completed, the building will be 272 meters tall. Keynote speakers and authors of the Strategic Regional Research report, Iain Dobson and Glenn Miller, led a provocative discussion about high-rise trends in the Greater Toronto Area. Michael Montgomery of Kinetica Dynamics and Andrea Calla of Tridel showed off the under-construction Hullmark Centre during a tour attended by more than 40 people. 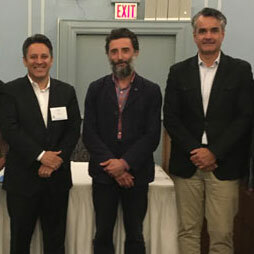 The first event organized by the newly formed CTBUH Canada Chapter was held at the University of Toronto on May 2, to a highly enthusiastic reception. For the first time in six years the number of tall buildings completed annually around the world declined as the effects of the global financial crisis became evident. Twenty-six buildings taller than 150 meters have been built in Canada since 2005 and it added four buildings taller than 200 meters in 2012, the most ever in a single year. 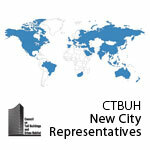 More than 35 City Representatives have been appointed in 13 countries as the CTBUH expands its network at a grass roots level.